Luis Enrique confirmed that Sergio Busquets has overcome a hip injury and will be fit to face Real Madrid in El Clasico on Saturday. The Spain international midfielder sat out Tuesday’s UEFA Champions League clash with Ajax after suffering bruising. Barca won 3-1 at Camp Nou to set them up nicely for their meeting with arch-rivals Real at the Santiago Bernabeu on Saturday. 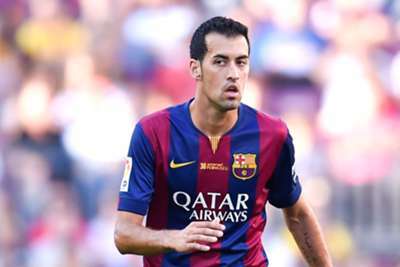 And in a media conference on Friday, Luis Enrique allayed any injury fears over Busquets, declaring that he should have no issues in being ready for the trip to Madrid. “Sergio is looking very good. He trained with everyone and he should be available without any problems,” he said. Luis Enrique, who played for both Barca and Real during his career, also revealed that Luis Suarez – available after serving a four-month ban for biting – would play at least some part in the game. “It’s an important day for him,” he said. “We will be coming out against Madrid with the same attitude we’ve shown all season.